Guest Post by Marco Rodi: Marco Rodi owns an IT Engineering university degree. He has his own computer repair business (OrdiRodi) that mainly does Apple Support. 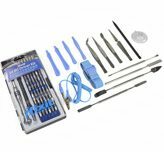 There are a few articles here on Technibble about what is in a PC technicians toolkit. However, when you are an Apple Tech your bag is not quite the same. Whenever a client calls me for an emergency, these are the tools I always carry in my Apple technician toolkit, no matter what the problem is. 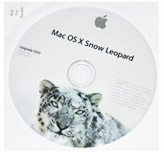 I always bring the Snow Leopard CD. 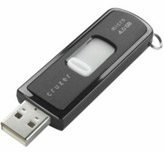 Sometimes you won’t need a USB drive as CD Drive will work just fine. If you install this version on your client’s Mac, you do not need a serial number. No matter what I do on my client’s computers, I always use the Dust Blower at the end of the job. It adds a professional touch to it and usually the client has never removed the dust. 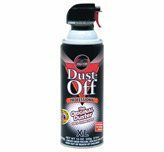 Here in Montreal, I always buy the DustOff Original Duster. You can buy a 10 pack of those for just $12.99. 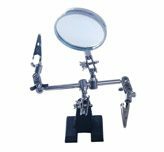 It has everything you need to repair iMacs, Macbooks, MacPros, iPhone, iPod Touch etc. Sometimes, when you try to boot the computer and you hear one or two beeps, the RAM failed. I always bring extra RAM to test this issue and to sell it to my clients if this is the problem. 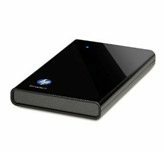 I bring my pocket 1TB external hard drive for backup. (model no. WDBACZ0010BBK-NESN). Usually your client won’t have another drive to back up his files. I like this HP drive because it is Mac/PC compatible and it supports USB 3. These are my main tools that usually cover everything I need. 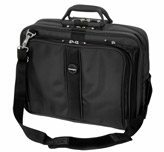 Whats in your Mac technician bag? Have you ever considered expanding your computer repair business by doing remote support? While it is unlikely to replace your physical computer repair work, it does allow you to save time with your current work and expand your service area. Here are some of the benefits of remote support that are worth considering. Many people scoff at the fact that a Computer Technician will charge in the range of $100 hour. Especially when a 9 to 5 office job will only earn in the range of $20-40 per hour. What these people dont understand is as business owners, we have to these charge prices because there is a large amount of unbillable hours where we still have to work, but cannot directly charge for. One of the biggest contributors to unbillable time is driving time (I know some techs DO charge for driving time/distance though). With remote support, you can often cut out the driving time. In fact, you can pretty much start the moment you get the call. If you are an onsite computer technician, think about how much time you spend driving around on a typical day. In my business, it was easily 3-5 hours depending on how many jobs I had lined up in the day. On the topic of driving time, while you are running around town all day you are consuming fuel and slowly devaluing your vehicle as you rack up the miles/kilometers on the odometer. Of course, these are normal business expenses that you factor in but with remote support you can reduce these. Resulting in more overall profit. Remote Support also allows you to work more efficiently. We all know about “loading bar time” where we cant do much more other than but sit there and watch the loading/installing bar slowly reach 100%. If you were working on a machine where you had to wait like this via remote support, you could use that time to work on another persons computer or do an in-office task – making better use of your time. We computer technicians cannot know what every single error message means and how to fix it, so we occasionally need to turn to the almighty Google. There is no shame in referring to Google but it doesnt always look good doing so in front of customers. With remote support, you have access to one of your own machines where you can research the clients problems and have access to a range of applications. This is an obvious benefit. Most onsite technicians have a “service area” where they limit the maximum distance they are willing to drive. With remote support, the geographics dont really matter anymore as long as the client has a good enough internet connection. Even with my own business, I look after my clients in my home city of Melbourne Australia even though I am currently living in London UK. Even though my clients are half a world away, the speeds are actually pretty good. If you are a computer technician who has maintenance contracts with their clients, keeping an eye on your clients systems is made much easier and more effective with remote support. For example, you can log into their systems and check the usual Windows/Antivirus updates and hardware statuses once every 2 weeks, and visit the clients physical location quarterly to check the physical state of the computer. 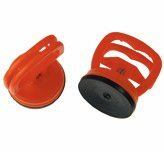 Again, this saves you time driving around all the time to support your maintenance contracts. If you are interested getting into remote support, I recommend you check out Lisa Hendricksons guide “Call That Girls Guide To Remote Support” which is now in its second edition. Lisas book is not a technicial manual on how to do remote support but rather a remote support business operations manual. It includes setting your remote support rates, getting a ticketing system setup, marketing your remote support services, accepting payments remotely and up-selling. It also talks about what to do if the clients internet doesnt work, dealing with issues you cannot fix remotely and how to deal with issues that make working remotely difficult. Lisa’s guide is currently selling for $79 until December 24th, comes with a free copy of her “Computer Business Manual of Operations” and comes with a full refund policy if you find its not for you, so its completely risk free. You can check out the guide and what is in it by CLICKING HERE. If you are looking for remote support software, ScreenConnect is picking up a lot of popularity on the Technibble forums. Their concurrent licenses start at $275 and once you purchase it you can use it forever. The software is self hosted giving you a bit more control over your product. It comes with all the features you would expect from a good remote support package such as being crossplatform, has a Android/iOS app and is brandable. You can check out ScreenConnect HERE. Plus One Solutions provides service fulfillment solutions and services to IT service organizations, such as Consumer Electronics, Appliance Manufacturers, Retailers, Home Improvement, Home Based Services, Cable and Telecommunications and Third Party Warranty Administrators (TPAs). The company claims to have over 45,000 service providers. Plus One Solutions also provides online training solutions, recruiting and dispatch management services as well as background, certification and drug screening. Exceli-i procures and resells new, refurbished, and excess computers and computer peripherals. 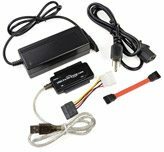 The company specializes in provisioning spare parts and claims to offer hard-to-find computer parts at competitive prices. SOPA and Protect-IP: The Rise of Internet Censorship in America? I am not a political activist. I discuss business and technology, not politics. In fact, I usually go to great lengths to avoid politically charged discussions on this site. However, there are times when political issues encroach, effect and sometimes even dictate the course of events that take place in this industry and the industry itself. In this case, a political discussion becomes inevitable and unavoidable. Such is the case with a bill currently on a fast track to becoming law that will affect the Internet and the IT industry, the Stop Online Piracy Act (SOPA). As a media writer, producer, IP and copyright owner myself, I certainly believe in and respect the rule of copyright law. However, the proposed legislation of SOPA is going way too far. On the surface, SOPA seems to be a good thing. Piracy is wrong, and a law that proposes to fight it sounds very noble. But, as the saying goes, the road to hell is paved with good intentions. And if this bill passes, that is likely where the the Internet and the freedom of commerce, speech and expression that thrive on it, will go. If you don’t know what SOPA is, read up on it now. I have, and it’s scary stuff. I encourage everyone to find out more about it and then call or write your representatives in Congress. You may be surprised to find out how much more informed you are about it than they are, since it is common knowledge that most of them vote according to to the influence of the lobbyists who buy them and seldom even read the bills for which they cast their votes. System Restore Explorer is small, freeware tool that allows you to view and delete specific Windows system restore points. This is a handy way to clear up some disk space without wiping out all of the restore points since previously the only built in option we had was either all or none. However, the best feature is that it allows browse and copy individual files inside the system restore points, without performing a full system restore. have the option to Mount, Unmount or Delete that specific restore point. If you Mount that restore point, it will show you the files inside that restore point in your standard Windows Explorer interface allowing you to manage the files inside it like you would any other file on your system. This application only works in Windows Vista and Windows 7. Viewing the list of available restore points to Mount or Delete. Browsing inside a mounted restore point. Special thanks to the forum member Galdorf for recommending this one. I am going to be interviewing fellow computer technicians via email so people can hear their stories, be inspired by them and learn something new. If you consider yourself successful, whether a single guy in his bedroom always keeping busy, or someone with a shop and multiple employees, I would love to interview you via email. Shoot an email to tips@technibble.com, tell me a little bit about yourself, what about yourself you believe would be interesting to your fellow techies and I’ll get in touch with you. Last but not least, if you know someone you would really love to have interviewed, send me their details to tips@technibble.com and I’ll do what I can. Canon Resellers have access to rebates, newsletter, banners, customized marketing programs, support, product images, presentations, videos, product documentation, product training and white papers. So you receive a call from a client saying “My hard drive just crashed! !” or “I just bought a new Mac and I need to transfer all my information” or even “I want to clear my hard drive and do a clean installation”. As a professional, you need to know exactly what to do to perform a perfect backup and reinstall. You don’t want to lose a client’s files or preferences. The client wants to have the exact same thing as before: their beautiful Mac, up and running again. They do not want to call you back and say: “Hey! I don’t have my music in my iTunes anymore!”, “Where are my bookmarks?” or “How come my icons are smaller?”. 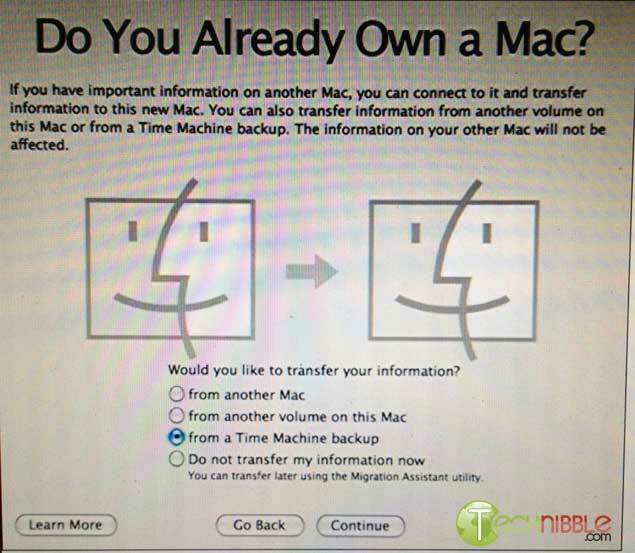 Here are the steps to perform a perfect backup and reinstall on OSX using Time Machine. First of all, you need to backup everything. With Apple it’s easy. There is a built in application called Time Machine and you simply need to plug an empty external drive into the computer (Yes, it must be empty because it will wipe everything on it), and activate Time Machine. To activate Time Machine, simply open your System Preferences. And click on the Time Machine icon. Choose your external drive and click on “Use Backup Disk”. Time Machine will copy everything (OS, Software, Files, and Preferences) to the external hard drive. So when you will reinstall the OS, you can restore everything from that backup. Once everything is backed up, we need to clear and format the new hard drive. 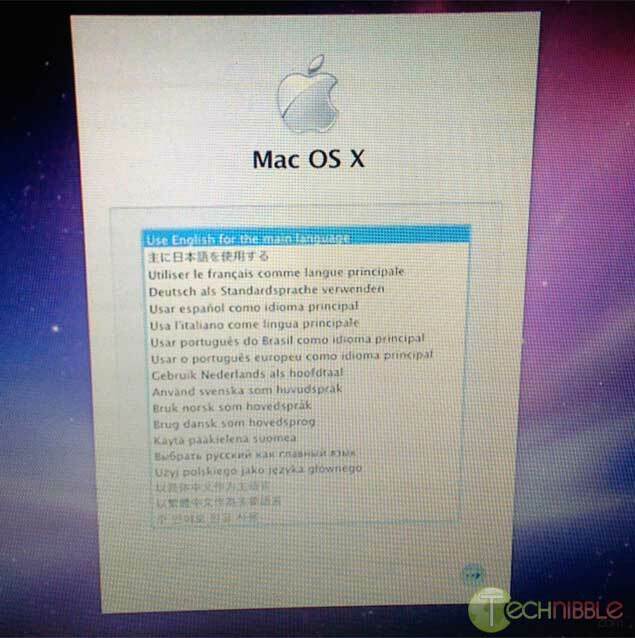 To do so, you need to have a copy of the OS that you need to install (Snow Leopard or Lion). It can be on either CD or USB, it does not matter. Shutdown the computer and insert your bootable device into the client’s Mac. Boot the Mac while holding the “Option” key (ALT key if you are using a non-Apple keyboard). You will arrive on a window where you can choose a bootable device. Please choose your OS Installation (Either CD or USB). You will then arrive at this window. Choose the language you want and press enter. 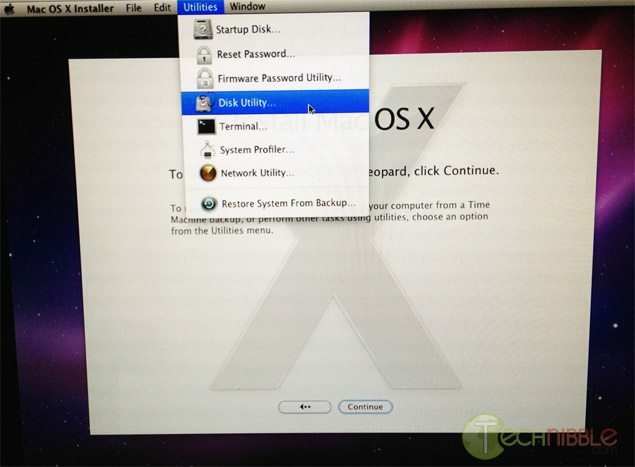 Click on Utilities and choose Disk Utility. Select the drive you want to format to the left. On the Erase Tab, use the “Format” Dropdown and choose “Mac OS Extended (Journaled)”. It will then take some time to format the hard drive. Once this is completed, you can close the Disk Utility window and start the installation. It will install the OS on your new hard drive. Once the installation is complete, it will reboot and it will start from your newly installed OS. At the beginning, it will ask you if you want to transfer your information. Plug your external device with the Time Machine backup and select “from a Time Machine backup” at the “Do You Already Own a Mac?” stage. It will transfer all the files and settings that Time Machine made a backup of back onto the Mac. So that is it. You can let your client test the computer and confirm that everything is back to normal.